The Estate Directorate continues to strive to ensure the physical facilities and associated Estate services are provided to the University in a manner that allows maximum benefit of the learning, teaching, research and engagement activities. As an enabler, it is important that the campuses are developed and maintained in a safe and legislatively compliant manner, whilst at the same time ensuring the University is seen as an attractive destination for new students as well as meets the needs of existing students and staff. The Directorate is focused on achieving a ‘magnetic place’, where sticky campuses encourage engagement and immersion into the student experience. A place where industry and community feel welcome to engage in conversation and innovation with physical facilities that enable these activities. A place where iconic tropical landscapes are a showpiece of the campuses and are an attraction in their own right. The recognition of our culture and heritage will also play a significant role in the creation and presentation of our environments. The Directorate strives to incorporate innovation into all activities by ensuring skilled professional staff are engaged, equipped with a sound technical skill set, and offer advice and expertise in relation to core office business as well as new projects, master planning, space rationalisation and environmental considerations. With a strong focus on Sustainability, the office leads the University in ensuring environmental considerations are key in decision making. TropEco will continue to be a focus of the Directorate with changing behaviours of staff and students the priority. The importance of the environment cannot be understated with Master planning surveys demonstrating that the University community value the magnificent natural assets of the campuses. Management of these assets by the Estate Directorate as custodian is vital to preserve the amenity of the campuses. With scarce rainfall in recent years innovation will be required to determine how we can showcase our natural areas in a sustainable manner. Environmental and sustainable initiatives will be a high priority of the Directorate with alternative energy strategies such as solar projects, electric vehicles, building efficiency and water management business cases being developed and implemented. 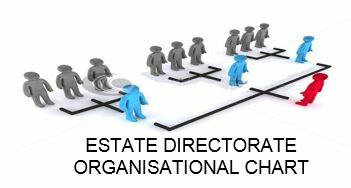 The Estate Directorate will continue to lead the discussion in relation to optimal space management through space rationalisation (Townsville) and reorganisation (Cairns) and strive to lead the University forward in these areas. With a focus on managing space and property, the opportunity will be taken to optimise the real estate portfolio to ensure maximum benefit of ownership of all property assets.